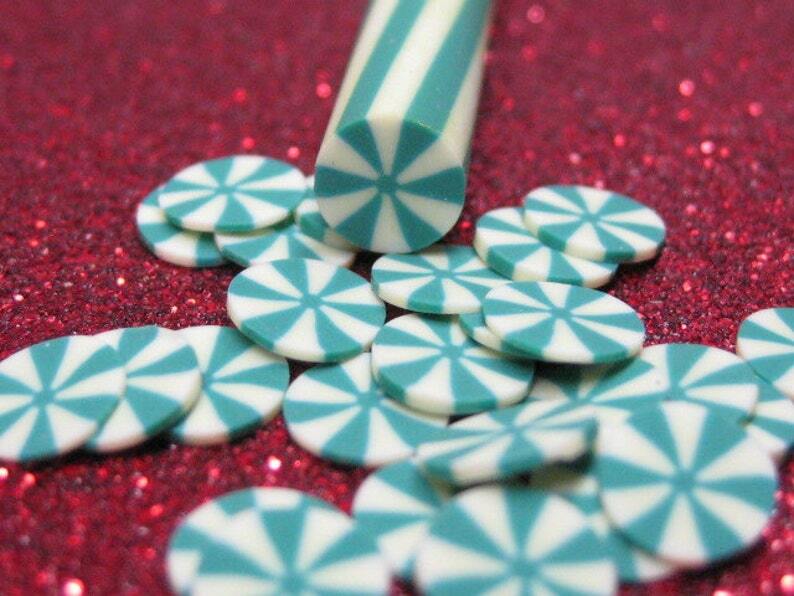 This swirl green mint candy is approximately 5mm (3/16inch) in diameter. You get exactly 1 baked cane. Please note these may vary by 1mm in diameter. Just as pictured. Will find many uses for these.